The Self Advocates Council (SAC) at CLH Developmental Support Services was formed in July 2013. 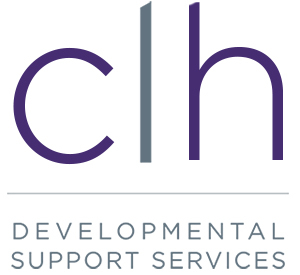 Membership is open to anyone supported by CLH Developmental Support Services. CLH staff are also welcome. Meetings are held (from September to June) on the 2nd Monday of the month at 2:00pm at 339 Olive Street. It is the vision of the Self Advocates Council to advocate on behalf of ourselves and other adults, about issues affecting our lives. We are committed to educating people about their rights and to understand their ability to make a difference in regards to programs and services offered by CLH Developmental Support Services. For more information or to get an application to become a peer mentor or to request a peer mentor, please contact Rob Smith. The Rights Advisory Committee is made up of a group of people who are not staff from the agency. They are people who have an interest in helping people who are supported by CLH Developmental Support Services to be as safe as possible while having as few restrictions of their rights as possible. How Can You Ask The Rights Advisory Committee For Help? Fill out a Rights Restriction form available at all locations and send it to the Rights Advisory Committee at 339 Olive Street. What Can The Rights Advisory Committee Do? They may agree with the decision to keep the supports the same and give you the reasons. They may agree with the decision to keep your supports the same, review your support plan, and maybe suggest some changes. They can suggest the support is not needed and explain why. They may find that there is not enough information to review your supports and postpone until the next meeting. Rights are the rules that help make people equal. You are entitled to the same rights under the law as everyone else because you are a person and a citizen. Some rights are yours when you are born. These are often called “human rights” because every human being has them. Some rights are yours when you become old enough. Some rights are yours because you live in Canada. There are laws to help make sure no one takes away your rights. Rights which are backed by laws are known as “legal rights”.